2D Camera (Integrated industrial-grade camera), Optional fingerprint device (2×1 fingerprint reader), Optional fingerprint device, 1×4 fingerprint reader for visas and other applications requiring 10 finger- prints, Integrated signature capture pad with user- friendly, pen-like stylus. Configurations (Tailor-made): two-and three-dimensional facial scanner, fingerprint and iris reading systems. 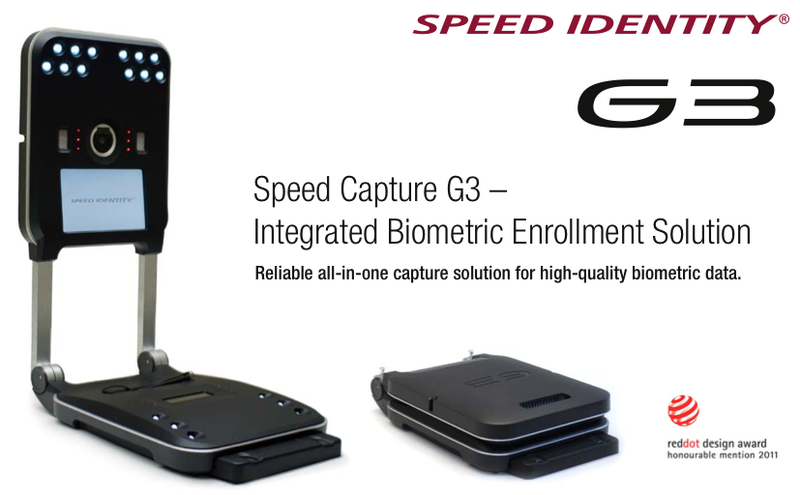 Speed Capture G3 is the 3rd generation integrated biometric data enrollment system for e-passports, visas, driving licenses and ID documents where security, reliability and useability are critical. The Speed Capture G3 is a complete solution for capturing biographic and biometric data including face photography, fingerprints and signature, in an all-digital workflow. The system is prepared for Iris-capture and its modular design allows for integration of a wide range of input sensors and quality-control software. Full interactivity and self-service mode is possible through the integrated touch screen and built-in audio hardware support. 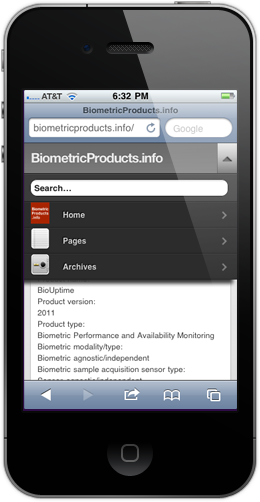 The Speed Capture API includes quality-check software to ensure ICAO and ISO complian- ce for face photography and NIST/BMS-compliance for fingerprints. In a typical applica- tion, fingerprint, signature and face photo files are retrieved by the host system from the G3 after the quality check algorithms have been applied, so that all data leaving the G3 match pre-defined levels of quality. In a robust workflow set-up, the biometric data, captured on the G3 is matched with the applicant so that biometric data is securely tied to the applicant, with no possibility of tampering with the data. The concept of “Live Enrollment” is critical, as any files from out- side sources, such as print photographs, may have been manipulated. The efficient and secure all-digital workflow for biometric ID documents ensures an unbroken digital chain. The Speed Capture API software pack controls all input sensors, quality parameters and file formats and the entire system integrates easily with the host application of national authorities and corporations using standard programming interfaces. The software platform is based on a secure web service.